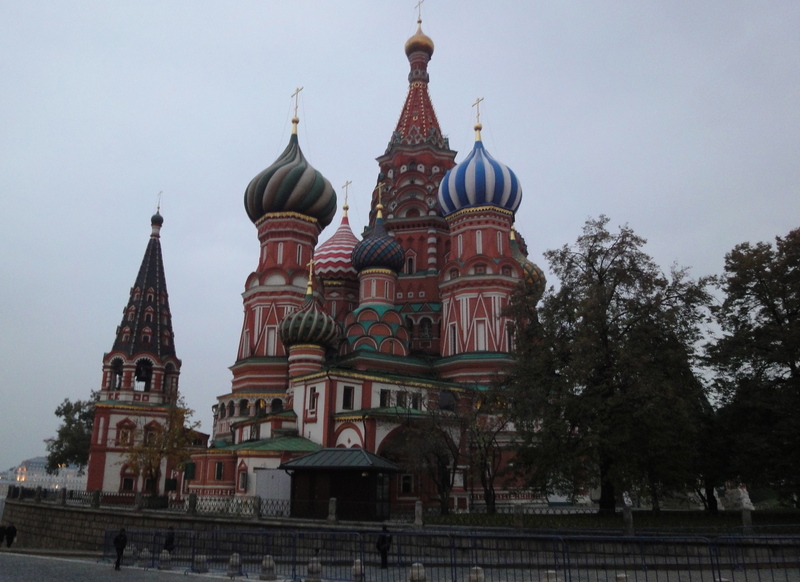 St. Basil’s Cathedral in Moscow’s Red Square has 9 domes. 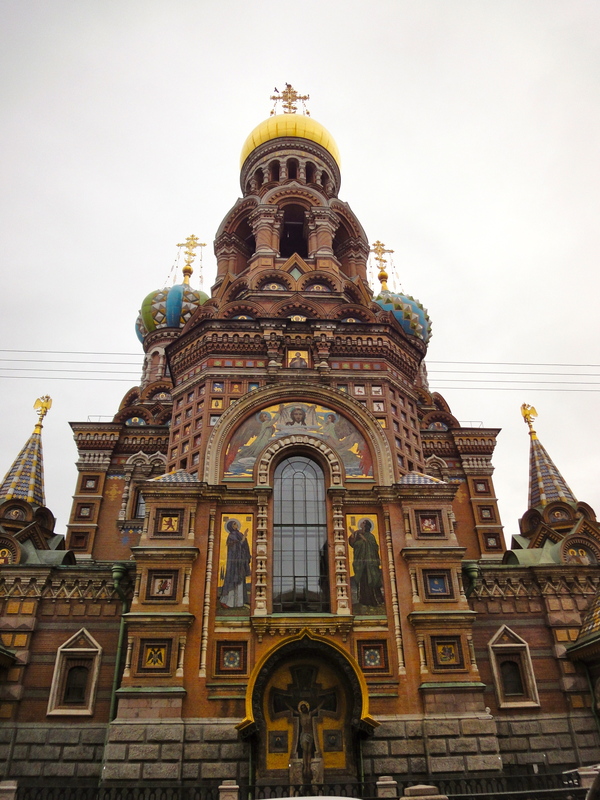 When you think of fabulous onion-domed cathedrals in Russia, chances are good you’re either picturing St. Basil’s Cathedral in Moscow, or the Church of the Savior on Spilled Blood in St. Petersburg. St. Basil’s was built in the 16th century to commemorate the Russian capture of Kazan and Astrakhan, and Napoleon’s troops stabled their horses there in 1812. 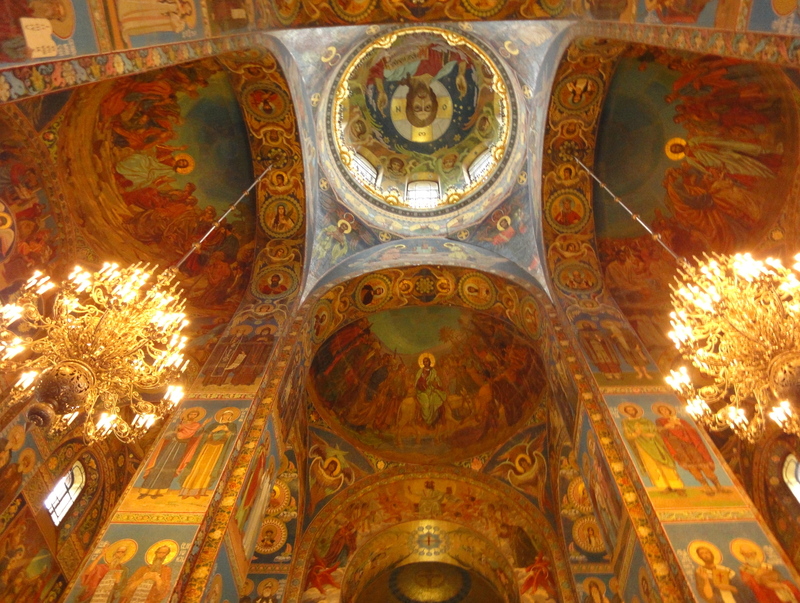 Church of the Savior on Spilled Blood has 5 domes. Church of the Savior on Spilled Blood, aka Cathedral of the Resurrection of Christ, aka Church on Spilt Blood, aka Savior on Potatoes (explanation for that later, and why do the Russians have so many names for EVERYTHING? ), is much newer. Alexander III commissioned the building in 1883 to commemorate his father who was assassinated on the site two years before – the “spilled blood” refers to that of Alexander II. The cobblestones where he was attacked are inside the church. Alexander II was also known as Alexander the Liberator. Born in 1818, he became Tsar in 1855 and died in 1881. He may have been the biggest reformist since Peter the Great — another Tsar influenced by his European experiences. Radical Reforms Engender Radical Revolutionaries. And Spilled Blood. Alexander the Liberator, aka Alexander the Reformer. First, you should know that Alexander came to power during a period of extremely strict censorship. Criticism of the government was considered a crime, and socially, all Russians conformed to very rigid guidelines defined by class. In 1855-56, he had a war to wrap up – the Crimean War, in which the Russians fought against several super powers including the Ottoman Empire, the French and the Brits. The Russians were defending the rights of Orthodox Christians in the Holy Land. Russia lost that one. 20 granite plaques along the base of the cathedral commemorate Alexander’s reforms. Unfortunately for us they’re written in Russian. But Alexander learned some things from the experience. After the Crimean War, he looked to expanding the railways to promote more commerce and bolster military defense. In 1861 he emancipated the serfs – Russia was one of the last European countries to abolish feudalism. He didn’t just transform them into a peasant agricultural class dependent on landlords (sound like another form of serfdom? ), but made them completely independent. Former serfs were now able to marry without permission, to buy property and businesses, and to actually leave the property where they were born. They were also allowed to vote and sue wrongdoers. It wasn’t all good for the serfs (they didn’t have money to buy land in the first place; many were forced to borrow at extortionist interest rates), but it was a start. Alexander II also sold Alaska to the U.S. for $7M in 1867. He realized it was too far away to defend. 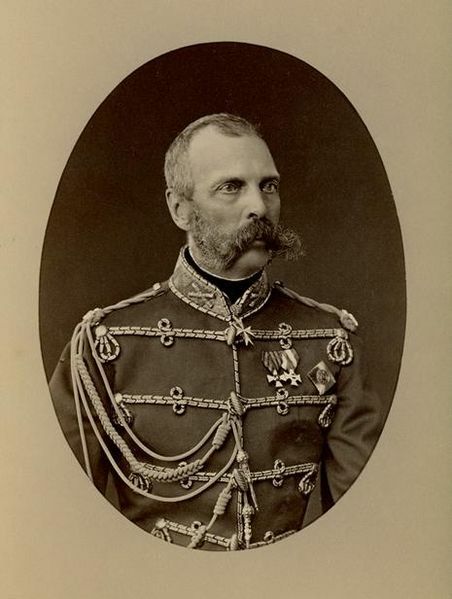 In 1874 he instituted universal military conscription – all of Russia’s sons had to serve in the army or navy, whether they were nobility, gentry or peasant. Alexander also abolished corporal punishment and the branding of soldiers. Sound pretty liberal for 19th century Russia? Perhaps he was too radical for the times, as Alexander survived five assassination attempts before the fatal one in 1881, and even that one took two tries. 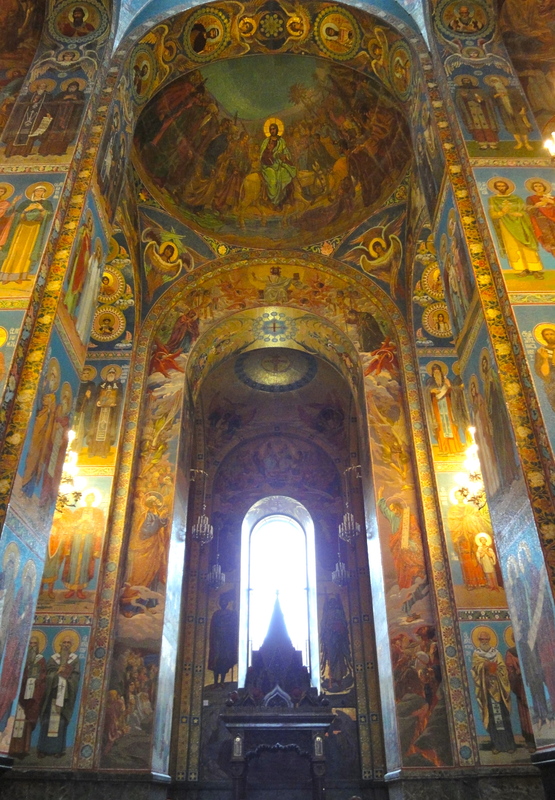 Interior of Spilled Blood is filled with light. On March 13, 1881, Alexander II was attending a military review in St. Petersburg, traveling in a bulletproof carriage. A member of the People’s Will threw a bomb under the wheels – the explosion killed one member of the party, and wounded many of the people on the sidewalk watching the procession. According to my tour guide, the bomber was immediately captured, and Alexander II approached him to demand an explanation for the attempt on his life. He couldn’t understand why, after making so many reforms to better the lives of all Russians, anyone would want to kill him. That’s when a second assassin threw another bomb at the Tsar’s feet, shattering his legs, ripping open his abdomen, and disfiguring his face. Alexander died a few hours later in the Winter Palace, just days from the 20th anniversary of the emancipation of the serfs. His plans for an elected Parliament, or Duma, were just completed. His son Alexander III not only failed to carry out those plans for a new, more democratic government, he promptly destroyed his father’s papers. But he did build an amazing cathedral, which he never saw completed. Narrowing this section of the canal to put the assassination site inside the church took over three years. It took 24 years to build this monument alongside the Griboedov Canal, just off Nevsky Prospekt. 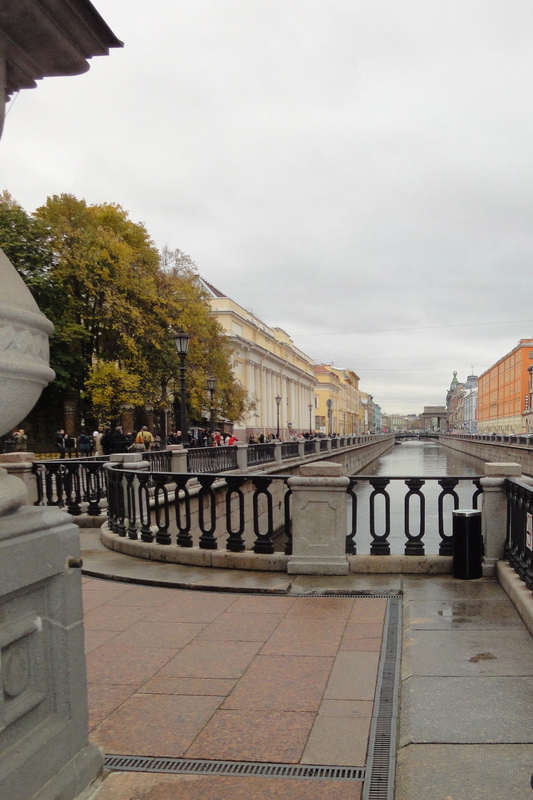 Part of the canal was narrowed to accommodate the cobblestones where Alexander II suffered his fatal wounds, within the church. 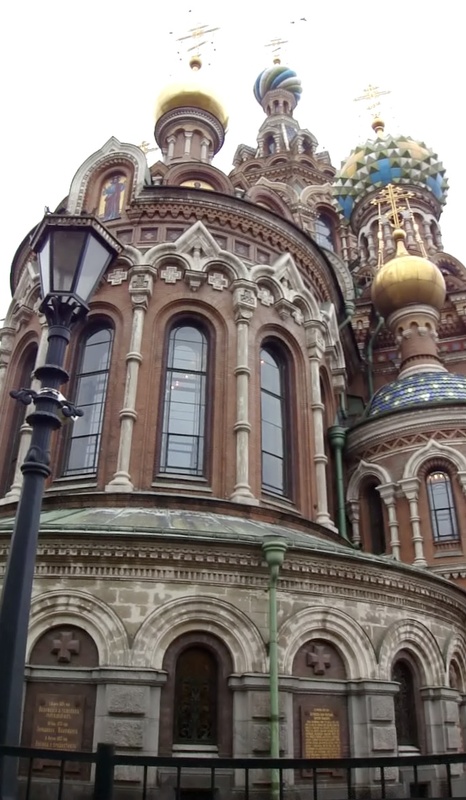 Built in the Muskovy style to mimic St. Basil’s in Red Square, Russian revolutionaries looted and vandalized the church in 1917, the Soviets closed it in the 1930s, and the cathedral served as a morgue during the Second World War. After WWII, the Russians used it as a warehouse for produce, which the locals called Savior on Potatoes. Restoration efforts began in the 70s. 1. Audio guides and group tours are available in several foreign languages. 2. There’s a tourist market outside of the cathedral, just across the street from the church’s ticket booth. My tour guide told me the quality of the merchandise was generally pretty good, but the prices were geared for tourists (outlandish by her standards). 3. On the opposite side of the cathedral, Griboedov Canal is lined with a multitude of shops and restaurants. 4. This is one of the few Russian sightseeing stops where I didn’t have to check in my coat.